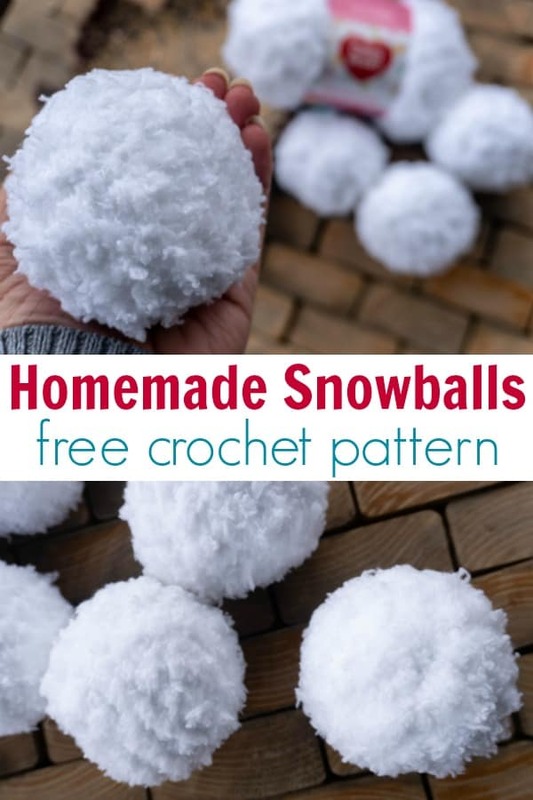 Let’s take a break from longer, more tedious projects to crochet some homemade snowballs using this quick and easy snowball crochet pattern! 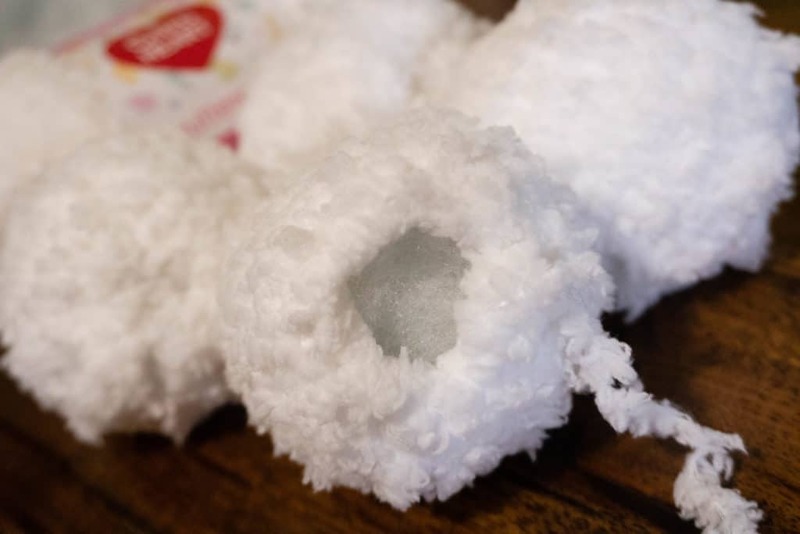 These little crocheted snowballs work up super quickly at just eight rows. Count ’em – EIGHT rows and you’ve got yourself a snowball! Where we live we haven’t had a good snow for what feels like forever. We got a dusting of snow a while back and the kids wanted so badly to go play and throw snowballs with the neighbor kids. (Yes! Go OUTSIDE and get dirty!) 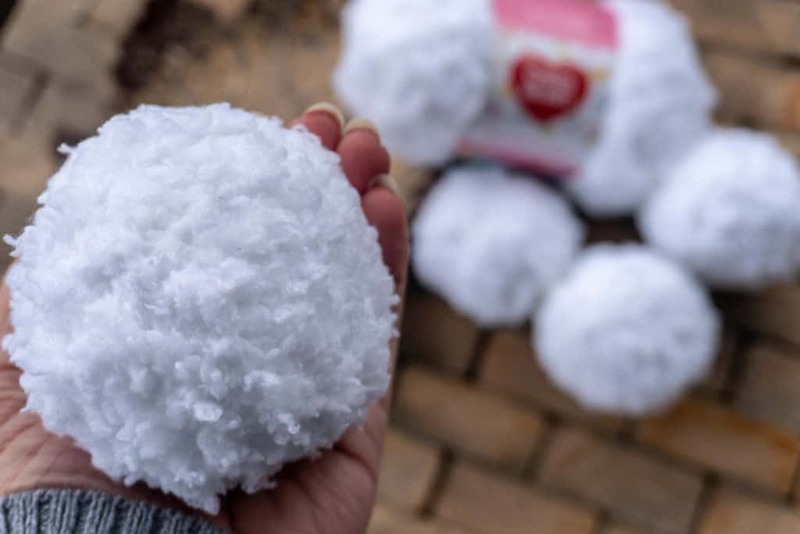 They did what they could with what little snow we had, but I’m happy to continue the fun with these lightweight crocheted snowballs! My favorite part of this pattern is the yarn used. 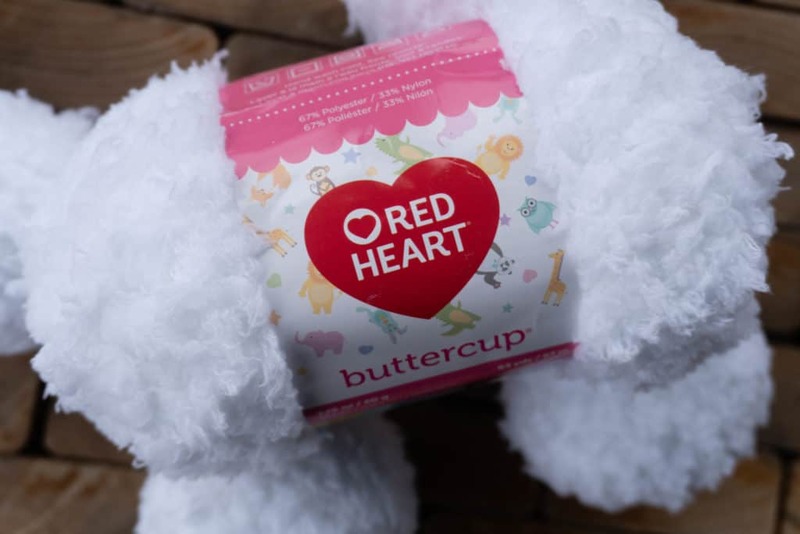 The Red Heart Buttercup yarn is so soft and fluffy. Even after filled, my snowballs weigh less than one ounce each! At that weight I don’t think you could throw them hard enough to hurt, but with two rowdy boys in the house I’m sure we’ll be testing that theory shortly. LOL! The stitches are hard to see, so work between the stitches by feel instead of by sight. The more you make, the quicker you’ll be! Ch-3, sl st into 1st chain to form a circle. Stuff with polyfill. Weave tail through stitches all around opening and cinch closed…then weave in end. 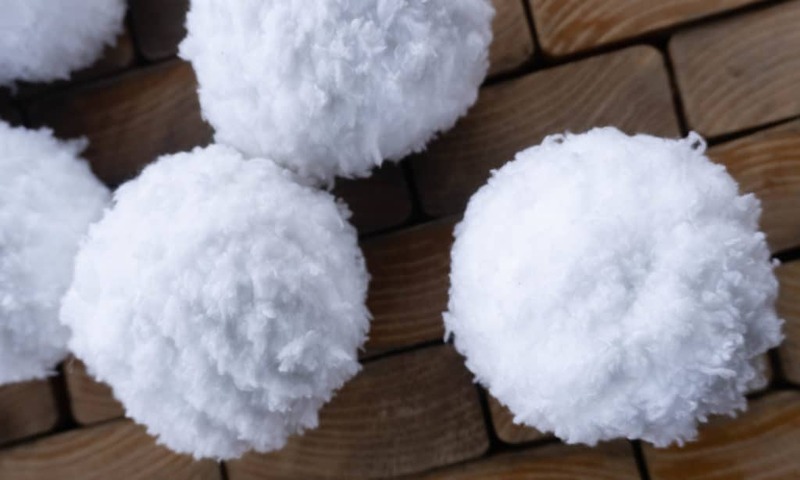 Now we can continue the snowball fight fun all year round! I think these would be an excellent seller at your next craft fair! I can get four snowballs per skein. 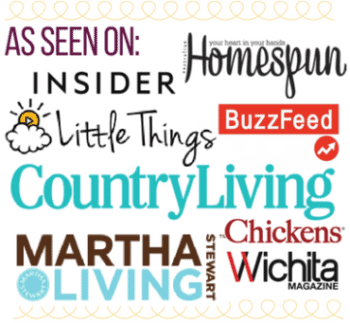 See these tips on pricing your items if you’re planning to sell them. 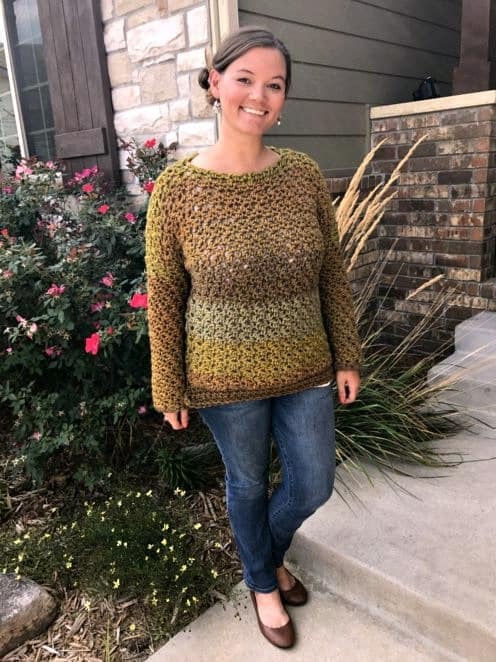 Please link back to this post to credit the pattern if you do! These are very cute. I make bunnies and have the hardest time with a pom pom. 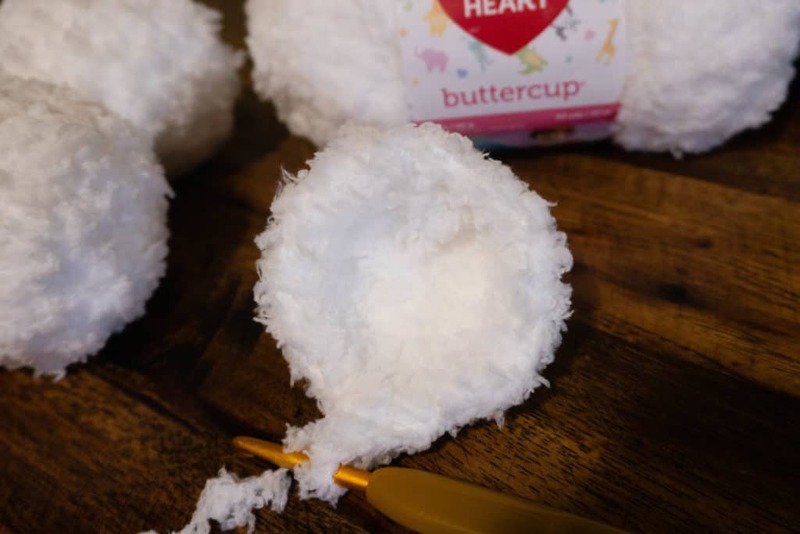 I'm going to try using the snowball for the bunny tail. Thanks ever so! That's a great idea Barbara! Thank you! My grandsons will love them.